Quiet ball bearing drawer slides offering a full extension drawer openings. 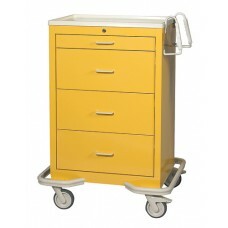 Premium 5'' full swivel casters, 2 locking and 1 directional. Key lock drawers. Double wall construction. Twin poly push handles. Plastic top included. Durable powder coat finish. 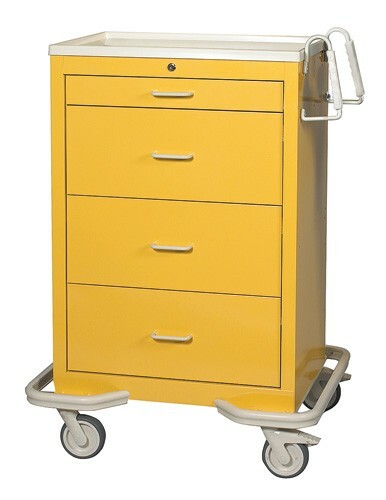 Carts are available in Solid Beige, Dark Blue, Slate Blue, Red and Yellow.